Did you know The BIA now has a shop? Claire McFall's The Drowning Pool has sold at auction in China for a VERY healthy six figure sum. The Drowning Pool is a Teen/YA paranormal romance that like McFall's Ferryman series is drawn from Classical Myth. The Drowning Pool was conceived as the first in a companion series to the Ferryman series, which has sold over 3 million copies in China and into 17 territories to date. Hollywood studio Legendary Entertainment is adapting Ferryman for a move franchise, with BAFTA Award-nominated Kelly Marcel writing and directing. 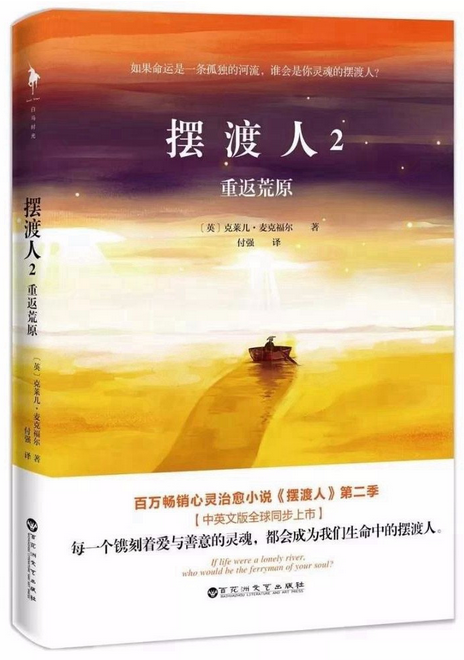 Chinese Simplified rights to Beijing Xiron Books. All other rights available. Jersey native Jacqueline King's MG debut, Cake for the Gestapo, weaves real episodes from the stories of actual survivors of the Nazi Occupation of Jersey into a poignant, exciting and hugely important debut on a subject that has never been tackled in children's literature before - "An unusual and fascinating setting, vivid characters and an involving plot, all woven together with fine, sensuous and rhythmic prose." Anthony McGowan - WEL to Zuntold. All other rights available. Kisiri is a lyrical and beautifully-crafted mystery, marking a return to the ancient and mysterious landscape of Birch's own childhood in East Africa that featured in her 2006 novel Rift (Egmont). Featuring elements of time-slip and the supernatural, Kisiri centres on Brit Ally and Kenyan Leli's fight to protect Leli's ancestral homelands from an ever-more encroaching modern world of corruption and ecological exploitation. WEL to Guppy Books. All other rights available. Broken Ground, is a standalone "kitchen sink paranormal" Teen/YA narrative about a boy's struggle to save his community when fracking and poor farming practices awaken a vengeful earth goddess of the past, who demands a blood sacrifice to restore the balance for generations to come. The unrelated follow up to her acclaimed, MsLexia Children's Book award-winning Teen/YA debut, Deep Water. WEL with Zuntold. All other rights available. Kimberly Pauley, whose YA work has drawn comparison to Meg Cabot, marks her UK and MG debut with an as yet untitled middle grade series that follows wizard's assistant Twig, who in to an accident becomes the most powerful magician in his world and is determined to have the magic stripped from him and head back to the companionable quiet of his old life. World Rights are with Scholastic. In addition to publishing Magrs's writing memoir with exercises, The Writer Inside You, in May 2019, Snow Books is to reissue the six book Adventures of Brenda & Effie series, that began with Never The Bride, and publish a seventh new volume of stories, entitled A Game of Crones. The Adventures of Brenda & Effie centre on Brenda, The Bride of Frankenstein, who runs a B&B in Whitby in her retirement, where she and her good friend Effie take on sleuthing in their part time. 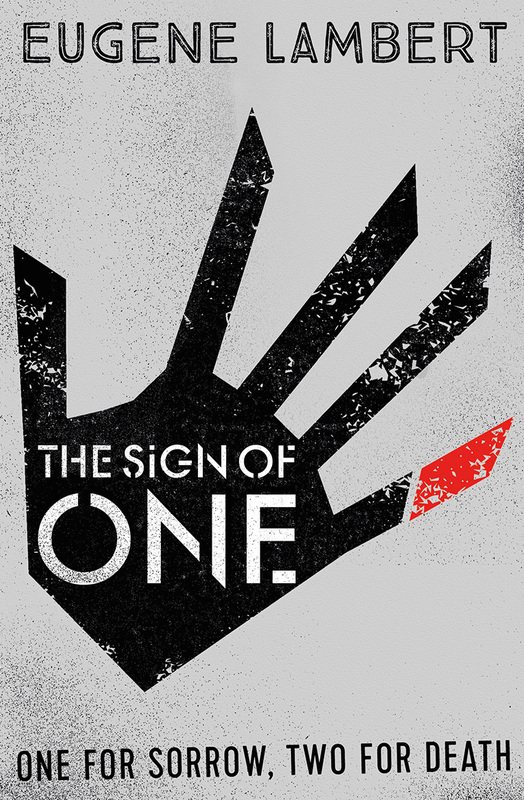 The series has also been optioned for TV adaptation by Free@Last, the production company behind Agatha Raisin. World Rights with Snow Books. Gritty and uncompromising Making Turquoise is a YA reworking of Romeo and Juliet, set amongst the warring football supporting communities of Glasgow, where the green of Catholic minority Celtic supporters and the blue of the Protestant Rangers majority can never be seen together, let alone mixed to make turquoise. The novel opens on a fatal knife incident at Hayley's 21st birthday and then takes us back to Protestant Hayley's first encounter with Catholic Liam, aged 14, and unfolds their tragic and moving love affair year by year, culminating in the knife attack and the trauma of the resultant court-room trial. WEL with Zuntold. All other rights available. The Branford Boase Award recognises the achievements of author AND editor of debut novels and is always an interesting list of writers to watch out for. Am over the moon to see Mel Darbon and Victoria Williamson on the longlist, together with editors Sarah Stewart at Usborne and Jennie Skinner and Sally Polson at Floris alongside them. Also on the list is a super secret all new member of Team BIA, whose identity will be revealed... So that's three novels out of twenty! Huge congratulations to all three writers and their editors and team! 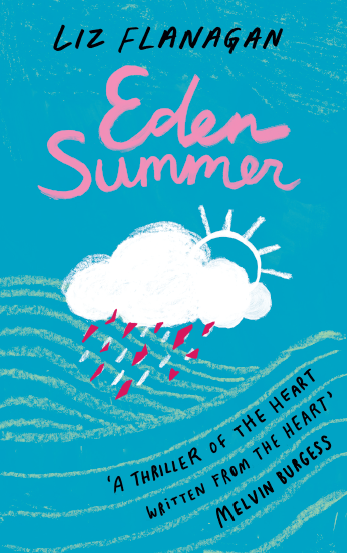 "The queen of children’s writing in Wales goes from strength to strength, and her third novel does not disappoint. A continuation of her unique brand of scary and page-turning story-telling skills, her latest book has already gone down a storm in classrooms around Wales. Strange figures in a fog, ruined houses in the woods, weird drawings of little girls, wild storms approaching… This is a chilling contemporary ghost story from the award-winning author of Gaslight,inspired by the sweeping Welsh shoreline." "very successful ... vividly realised, pleasingly creepy but not gory or violent, with an engaging narrative voice"
Enormously proud that Mel Darbon's extraordinary ROSIE LOVES JACK is among the handful of childrens titles joining those from adult lists for The Reading Agency's celebration of reading, #WorldBookNight 2019. Now in its 9th year, #WBN takes place annually on the 23rd April, when books are given out across the UK with a focus on reaching those who don’t regularly read, through organisations including prisons, libraries, colleges, hospitals, care homes and homeless shelters. BOOK OF THE MONTH on publication in the Mail on Sunday, Guardian and Observer and at Book Trust, The Reading Zone and The Down the Rabbit Hole radio show. If ever there was a book that deserved a wide readership, it's this one. Here's to 2019 being Rosie's year and to her story finding that elusive crossover readership success it so richly deserves and, in doing so, to Rosie's story changing us ALL for the better in the way that only the likes of Rosie and Jack ever could. 3 #TeamBIA LEEDS BOOK AWARDS SHORT-LISTINGS! Over the moon to announce that three #TeamBIA titles have been shortlisted for the 2019 Leeds Book Awards. Woo-hoo! 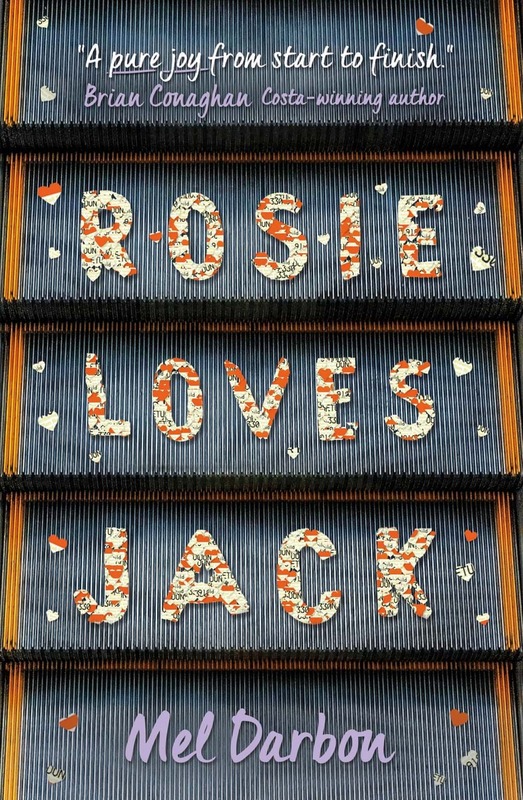 Mel Darbon's ROSIE LOVES JACK and M.A. Griffin's PAYBACK are both among a list of only six in the 14-16 category, while Liz Flanagan's DRAGON DAUGHTER made the final six in the 9-11 category. Huge congrats to all three writers and to all the other very strong writers who made it alongside them. This agent couldn't be happier for them all and is feeling very proud of their achievements. 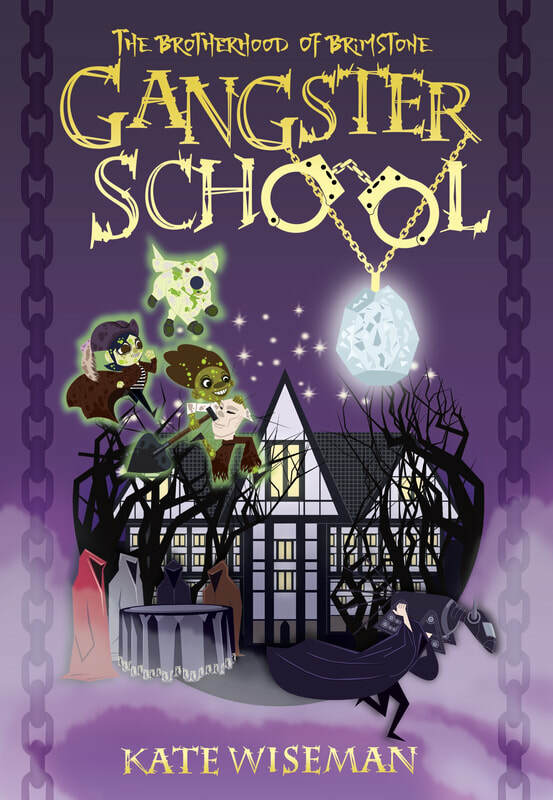 "Gangster School is awesome. Is there a real Gangster School? If there is can I go? And if yes, can I have a robot dog?" 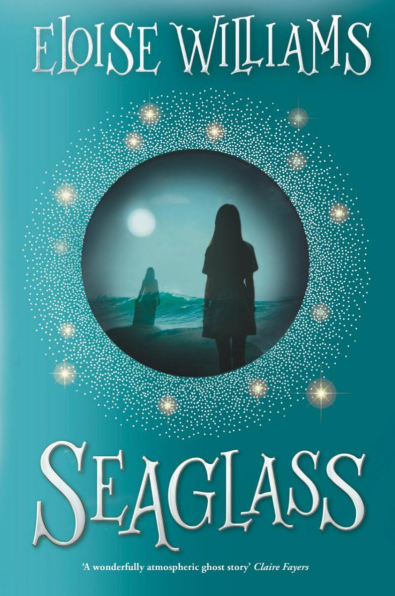 "This extraordinary book completely changed my perspective"
Huge congrats to Eloise Williams' whose Seaglass has been been pick of the crop all over; is a #PrimarySchoolBookClub pick and then there's been this critical response! And that's barely even the half of it. More on Eloise's author page. 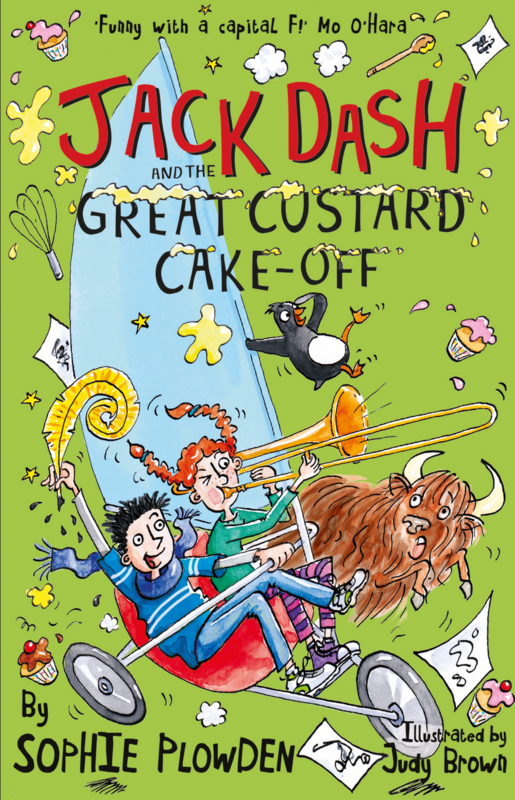 Set against the timely back drop of the village Bake-Off spin off, JD3 - or JACK DASH AND THE GREAT CUSTARD CAKE-OFF if you're being picky - is as utterly bonkers as you've come to expect and is out now. Joining Jack, Coco and Pablo the Penguin in this new adventure are: a camel-riding cowboy; the dastardly cake-baking-genius Dr Spleen; a peahen called Margot and a herd of rather improbable yaks! "The adorable love-hate relationship between Jack and Coco continues unabated in this sparkling new adventure full of crazy characters, hilarious mishaps, and a crusty, curmudgeonly old man called Lord Crumble. The perfect read for your own little mischief-makers!" "Fantastic characters abound and they get better with each book in the series. A hilarious story, with equally hilarious drawings by Judy Brown, this is just the sort of book to encourage children to enjoy reading." And here's the first response! "As usual, Chicken House has done a fantastic job with the presentation – a matt black cover with reflective gold foil lettering, and an image of five mysterious, masked teenagers. But it’s what’s inside that really counts, and now that I’ve re-surfaced (breathless) from this edgy, cool thriller, I bring good news; it’s awesome!" 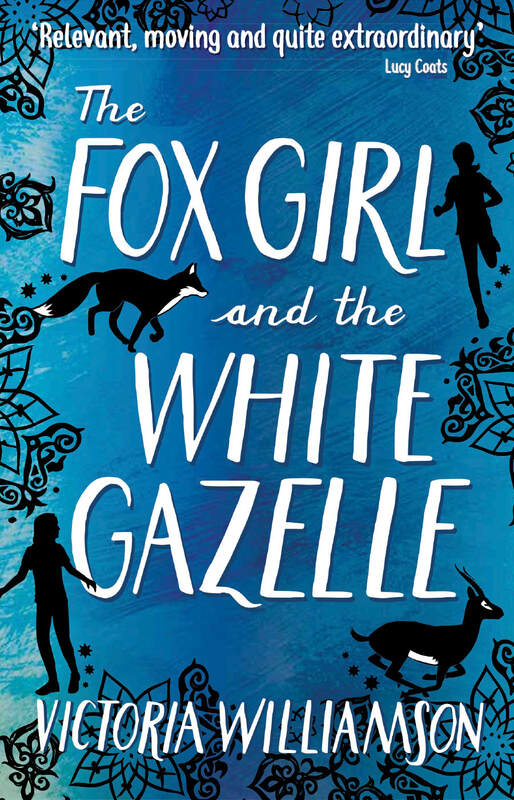 "By alternating the two girls’ first-person narrations (punctuating them with the fox’s voice in verse), Williamson allows readers to quickly relate to both white Glaswegian Caylin and Syrian-immigrant Reema, seeing in them reflections of the many problems children face around the world today. Her writing is culturally sensitive, incorporating various Arabic phrases and Islamic practices without Orientalizing them or sensationalizing the circumstances. With her two characters, Williamson movingly makes it clear that working-class solidarity traverses borders, race, ethnicity, and religion. (Fiction. 10-15)"
May 2018 and the Book Birthday Bubbles go to Kate Wiseman, whose long-awaited debut Gangster School series is now out. "Set at a Hogwarts for would-be infamous baddies, this romp full of wrongdoing [is] all such knockabout fun that you overlook the parallels to that other establishment." "Humorous, entertaining and light-hearted ... cleverly and convincingly constructed ... Gangster School is bags of fun and I’m already looking forward to the sequel, coming in September"
"Deserves to be one of 2018's most lauded books. Tackling racism, discrimination and bullying head-on in a book aimed at upper primary children is no mean feat, but Victoria Williamson does it with great sensitivity ... This is a book that I wish every child would read"
"A truly transformational read. Intensely powerful and immensely poignant at the same time… such a groundbreaking, essential and accomplished debut that not only changes perceptions but also has the power to alter attitudes ... a writer to watch." "This flamboyant fusion of science fiction and classic adventure contains more sparks and surprises than a box of fireworks. It’s a rousing epic underpinned by playfulness, and a drive to do the right thing in even the most difficult of circumstances. It’s also a genuine, 100%-certified crossover that will delight a vast spectrum of readers." HAPPY BIRTHDAY TO THE BIA!! 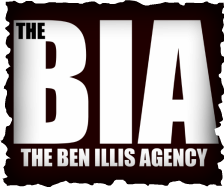 5 years ago today, I launched my own independent literary agency, The BIA. Times were unbelievably tough and it wasn't easy. At all. This photo is made up of just some of the books written by the wonderful and talented writers in #TeamBIA and published in that period, most of whom hadn't been published before. I couldn't have dreamed of doing what The BIA has done without their support, for which I will always be grateful. Among these books, you will see prize winners and bestsellers, some have movies and TV series in development, others are quietly cementing their authors' reputations behind the scenes. There are also those that haven't yet had their chance, from writers that haven't yet had their moment. Me, I'm just immensely proud of them all. FEB update: It's not even released until April, but am hugely pleased to reveal that Victoria Williamson's inspiring and beautiful debut novel of loss, redemption and friendship, THE FOX GIRL AND THE WHITE GAZELLE, has been shortlisted for the Teach Primary Book Awards! Not a bad start at all! Thanks to all at Teach Primary and to all those early readers. Full reviews over on Victoria's client page. 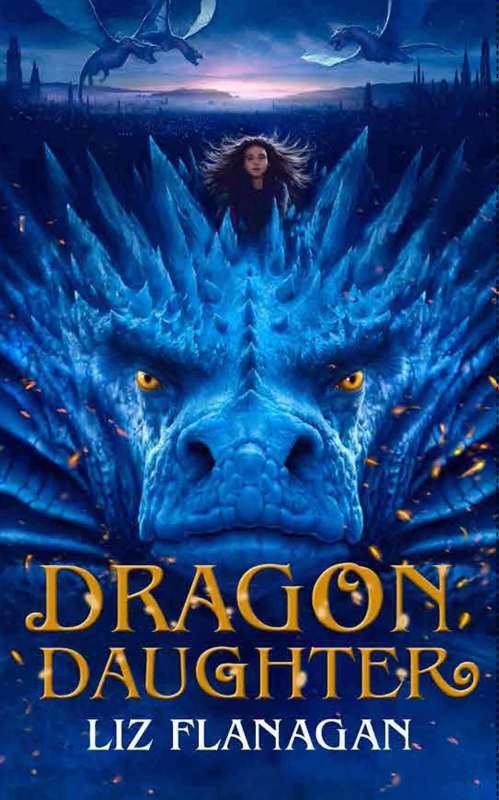 "Legendary Entertainment acquired the worldwide film and graphic novel rights to the award-winning YA series ... The studio has previously developed films such as Inception, Batman Begins and Jurassic World. Further international publishing deals ... include a seven-way publishing auction recently closed in France with Elsa Lafon at Michel Lafon for a “high five-figure” sum. Other territories sold include Chinese Complex to Yuan-Liou in Taiwan, Vietnamese to Dinh Ti Books, and Turkish to Yapi Kredi Yayinlari"
Chinese simplified rights are held by Beijing White Horse Time, who have achieved over a million copies sold and over two years of consistent monthly Top 10 Open Book charting, with the sequel TRESPASSERS now sitting alongside FERRYMAN in the Open Book Top 10. 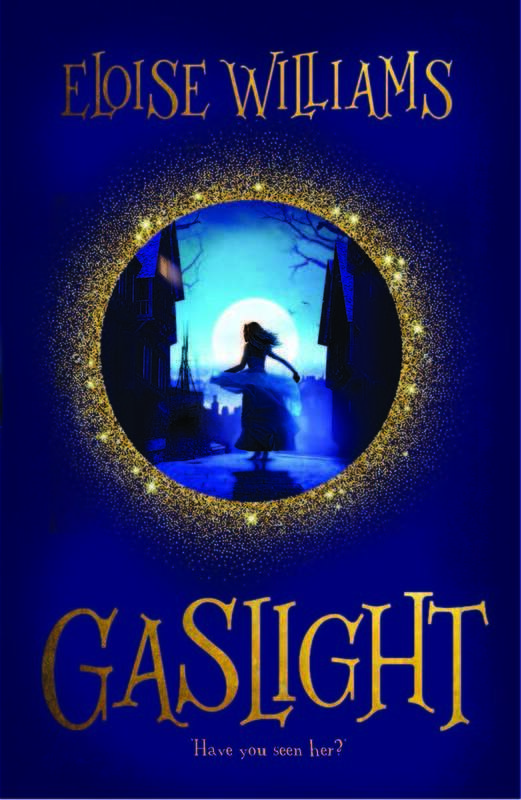 DECEMBER 2018 and a very welcome stocking filler for Eloise Williams, whose GASLIGHT has fought off some big name competition to be named Welsh Arts Review's Young People’s Book of the Year 2017. "In a strong list of books for children and young people, the winner this year is a book that has everybody talking about it. Eloise Williams’s dark and Dickensian thriller brings to life the backstreets of Victorian Cardiff with the unforgettable heroine, Nansi. The atmospheric storytelling will have you gripped from the first page." Here's a link to the full list, which may include a certain Mr Pullman too. Not only has TRESPASSERS leapt into the Top 10 at Number Three, but FERRYMAN is still right up alongside it in the Top 10, at a very respectable Number Six. Yes, that's TWO books in the Top 10 National Fiction Charts for Claire. TWO!! And that's not even just in the children's books category, we're talking General Fiction. All fiction. ALL OF IT! 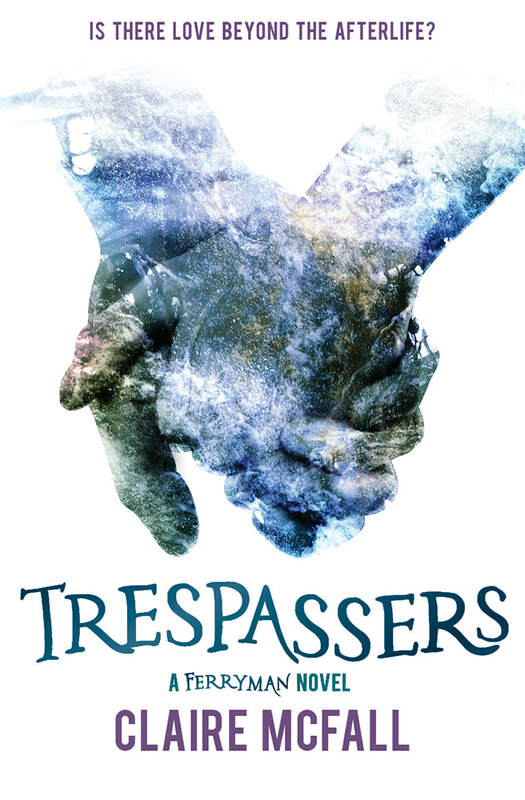 SEPTEMBER 2017 and it's a Happy Book Birthday to Claire McFall, because the wait is over, Dylan and Tristan are BACK and in TRESPASSERS the path of their love just got even rockier. An otherworldly romance novel with a twist, Claire McFall’s latest impressive, moving book continues the tale of the Ferryman, shifting out of limbo and back into the land of the living ... McFall mixes realism, romance and the gothic to impressive and moving effect. Fans new and old will be well satisfied." AUGUST 2017 and JACK'S BACK! Happy Book Birthday to Sophie Plowden, as JACK DASH & THE SUMMER BLIZZARD is OUT NOW! 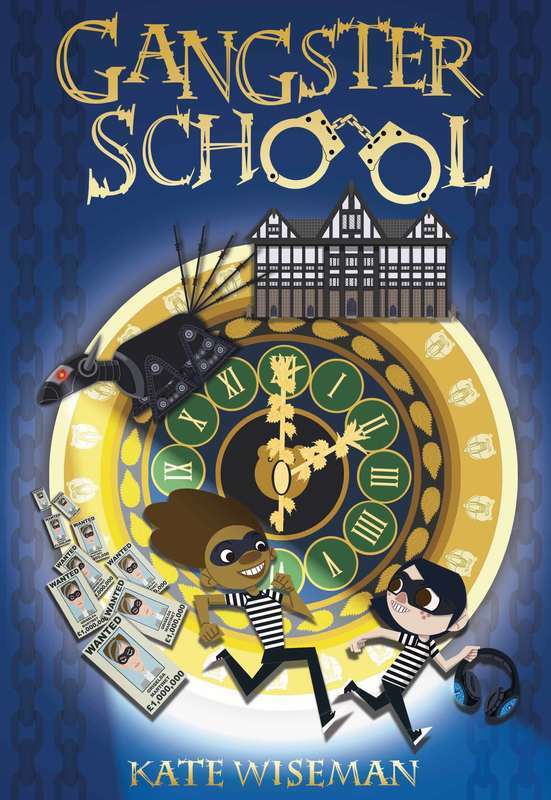 Having freed Sardina the Sealion and foiled the dastardly schemings of Mayor Gristle in book one, Jack must face his worst nightmare yet - his first day at a new school! Luckily, he is accompanied by his new sidekick/best friend/worst enemy Coco McBean. Luckier still, he has his magic feather to help him. Or does he?! Introducing Pablo the Penguin (and a couple of hundred of his best and most anarchic penguin friends) and featuring giant cupcakes, speedboats, perhaps the worst giant pizza in history AND evil headmistress Miss Frostbite, JACK DASH & THE SUMMER BLIZZARD really is, as Mo O'Hara says "Funny with a capital F!" "Thoroughly entertaining, exciting, funny and imaginative: Brilliant!" "As funny as a pig on stilts! Jack Dash is my kind of hero"
JULY 2017 and ahead of the forthcoming publication of the first of TWO direct sequels, TRESPASSERS, Claire's new publisher Floris have re-released her debut FERRYMAN, with a hauntingly beautiful new look. "One of the most influential writers in China of 2016"
"The most influential writer in the world you've never heard of"
"One of the most fearless voices for YA fiction in Scotland"
June 2017 and to celebrate publication of the third ALFIE BLOOM adventure, Scholastic have re-released all three titles - THE SECRETS OF HEXBRIDGE CASTLE, THE TALISMAN THIEF and now THE WITCH OF DEMON ROCK - with this STUNNING new jacket design. "Mohamed’s tight, twisting plot keeps things firmly on track, leading to a conclusion filled with heart, action, and personality that makes sense for both the plot and the vibrant cast of characters he has created. "Action-packed and full of peril and intrigue ... I thoroughly enjoyed getting to explore some other aspects of the society that we didn't get to see much of in the first book. We also get answers to some of the questions left hanging but there's still a lot left unresolved. Everything ended on a very exciting note that has me eager to read on in the series." "It pulled me in, rushed me through, and spat me out all in one day. My one problem with this book is that I HAVE TO WAIT A YEAR TO READ THE NEXT ONE!! I need to read The Long Forever now!" Sarah Stewart, Usborne Senior Fiction Editor, has acquired World English rights for YA novel Rosie Loves Jack by BIA debut author Mel Darbon. Stunningly beautiful and uniquely insightful, Rosie Loves Jack is a story about Rosie, who has Down’s Syndrome, as she fights for the little freedoms that so many of us take for granted – independence, tolerance and love. Eleanor Collins, Senior Commissioning Editor at Floris, has acquired World English Rights on a three book contract for Scottish Teenage Book Prize and Scottish Book Award winner Claire McFall. Floris will lead with a revised reissue of the 2014 Scottish Book Award winner FERRYMAN and a sequel TRESPASSERS, both to be published in September 2017. A third novel, as yet untitled, will follow in 2018. TRESPASSERS will also be published simultaneously in China by White Horse Books, whose edition of FERRYMAN has now sold almost a million copies and been named the number one bestselling e-book of 2016 and number four across all formats. March 2017 and a huge congratulations to Claire McFall on winning the Scottish Teenage Book Prize for BLACK CAIRN POINT! Claire is, of course, no stranger either to prize wins or to bestseller status. Her debut novel FERRYMAN won the Older Readers Category of the Scottish Children's Book Awards back in 2013 and has gone on to sell almost a million copies worldwide, becoming the number one bestselling e-book in China (and number four bestseller across all formats) in 2016. FISH BOY by Chloe Daykin is The Bookseller's March BOOK OF THE MONTH, while Brian Conaghan and Sarah Crossan's WE COME APART was BOTM for Feb.
"One of the most memorable debuts I've read in a long time ... Daykin is a terrifically talented writer... Strange and beguiling, quirky and literary ... highly recommended for fans of David Almond and Frank Cottrell-Boyce." "One of my most anticipated books of 2017, and the result is something spectacular... Utterly true and compelling... Will break your heart in the best possible way." 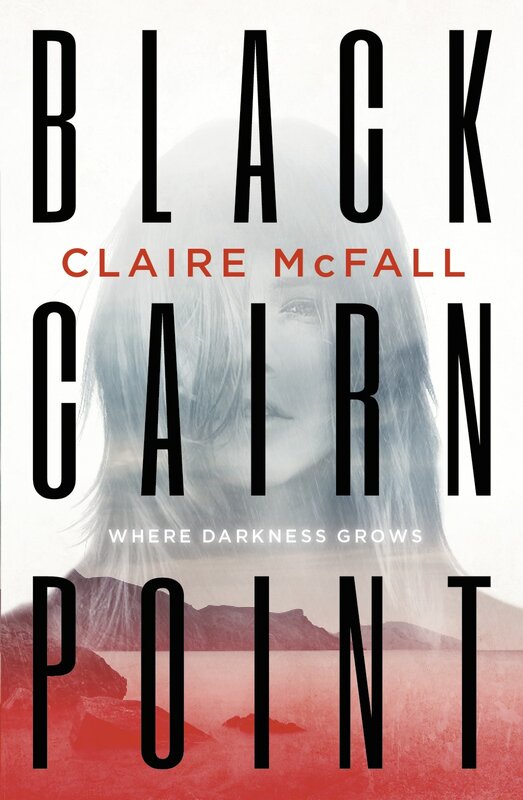 Nominations season kicked off with the wonderful news that Claire McFall's BLACK CAIRN POINT has been shortlisted for the SCOTTISH TEEN BOOK AWARD. This is Claire's second shortlisting for the prize, which she won back in 2014 for her debut novel FERRYMAN. In addition to a fantastic reception back home in Scotland, FERRYMAN has had a remarkable year internationally, having now spent over a year in the TOP 10 GENERAL FICTION CHART IN CHINA, since its release there in summer 2015. 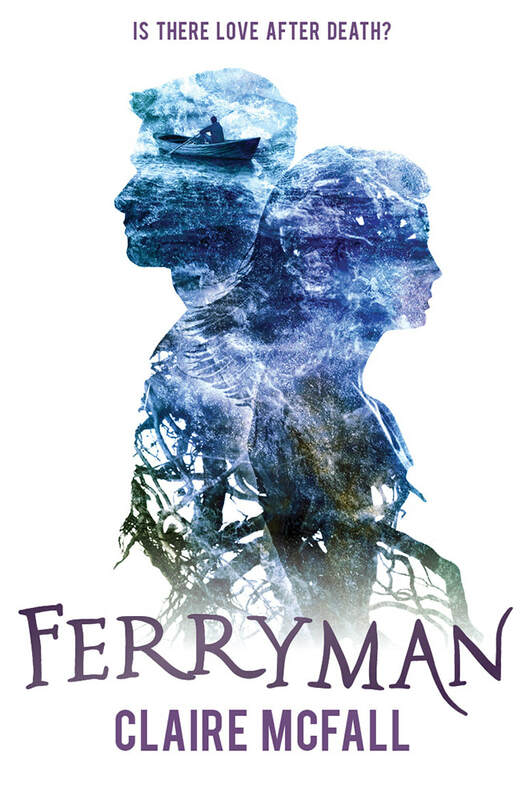 FERRYMAN has now completed its thirteenth consecutive month in the charts - and in the NUMBER ONE spot, no less - leaving Claire well on her way to becoming #TeamBIA's first million-selling author. From the international to the regional, and am immensely proud to announce that Sophie Plowden's debut JACK DASH AND THE MAGIC FEATHER has been shortlisted for the Lancashire Libraries 2017 FANTASTIC BOOK AWARDS, judged by primary school pupils across Lancashire. Meanwhile, Eloise Williams, whose 2016 debut ELEN'S ISLAND and 2017 follow-up GASLIGHT are published by Firefly, was runner-up in the WELLS LITERATURE FESTIVAL'S CHILDREN'S NOVEL PRIZE for unpublished work and Lu Hersey's MsLEXIA AWARD-winning debut, DEEP WATER, was shortlisted for the 2016 WIRRAL PAPERBACK OF THE YEAR AWARD. 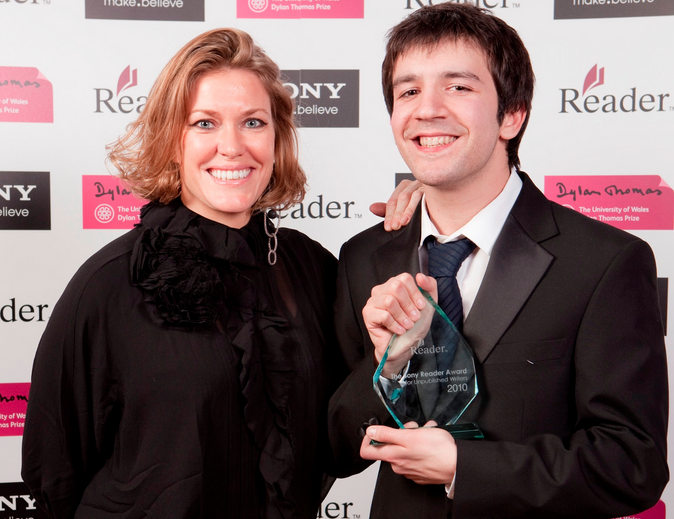 Martin Griffin's debut POISON BOY won the Times/Chicken House Prize and his latest book LIFERS has also been picking up the nominations, having been longlisted for both the ST HELENS BOOK AWARD and the REDBRIDGE TEENAGE BOOK AWARD and shortlisted for the 2017 WIRRAL PAPERBACK OF THE YEAR AWARD too. Gabrielle Kent, meanwhile, has been shortlisted for no fewer than five awards for ALFIE BLOOM AND THE SECRETS OF HEXBRIDGE CASTLE to date: The CUMBRIA SPELLBINDING BOOK AWARD, HOUNSLOW S.L.S. JUNIOR BOOK AWARD, STOCKPORT BOOK AWARD, STOCKTON BOOK OF THE YEAR and the WEALD BOOK AWARD. Over in the world of audio drama, Paul Magrs's independently produced Dr Who spin-off comedy BAKERS END: THE KING OF CATS has been nominated for a BBC AUDIO DRAMA AWARD and is the only small indy production up against a slew of established outfits too. Finally, am chuffed to bits that two #TeamBIA writers have been nominated for the 2017 CILIP CARNEGIE MEDAL. 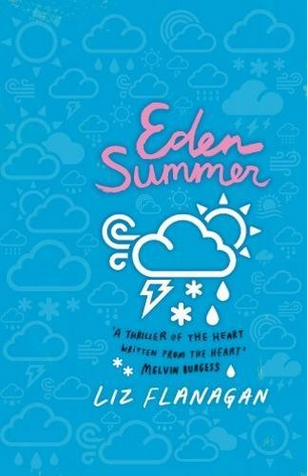 EDEN SUMMER has also been shortlisted for the LEEDS BOOK AWARDS, judged by librarians and pupils from schools across the Leeds area. 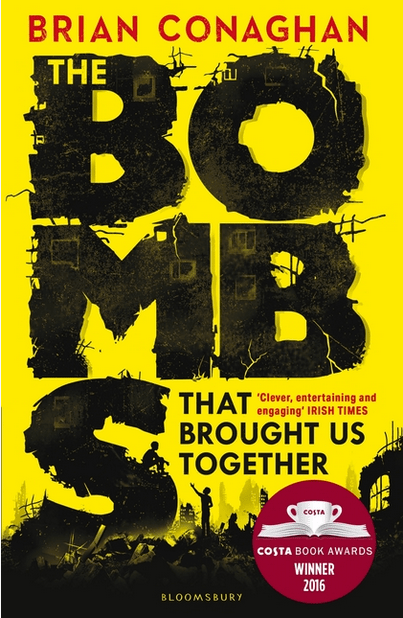 An absolute last word on the awards front for now though is the overwhelmingly ACE and FANTASTIC news that in addition to its CARNEGIE nomination, THE BOMBS THAT BROUGHT US TOGETHER by Brian Conaghan has also been shortlisted for the COSTA CHILDREN'S BOOK AWARD. 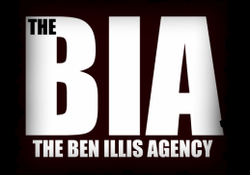 Honestly could not be a happier agent or any more proud of Brian and the whole of #TeamBIA! TAKEBACK, the new teen tech-thriler from TIMES/CHICKEN HOUSE PRIZE winning author MARTIN GRIFFIN will be published by Chicken House in 2018. Set in the same dark and seamy world of unscrupulous Manchester tech development that Martin established in LIFERS, TAKEBACK features a gang of self styled Robin Hood hacker teens, who bite off more than they can comfortably chew when they "liberate" a startling piece of new technology, with the intention of bringing it to the masses. Subject to contract, SOPHIE PLOWDEN now has a third instalment in her acclaimed and hilarious JACK DASH series for younger middle grade in the pipeline. Episode two, JACK DASH AND THE SUMMER BLIZZARD, features unseasonal blizzards and a crew of decidedly motley penguins and is scheduled for Spring 2017. The third as yet untitled instalment will introduce us to Betty Crocker, a camel-riding cowboy with a penchant for baked goods. Catnip is to publish. 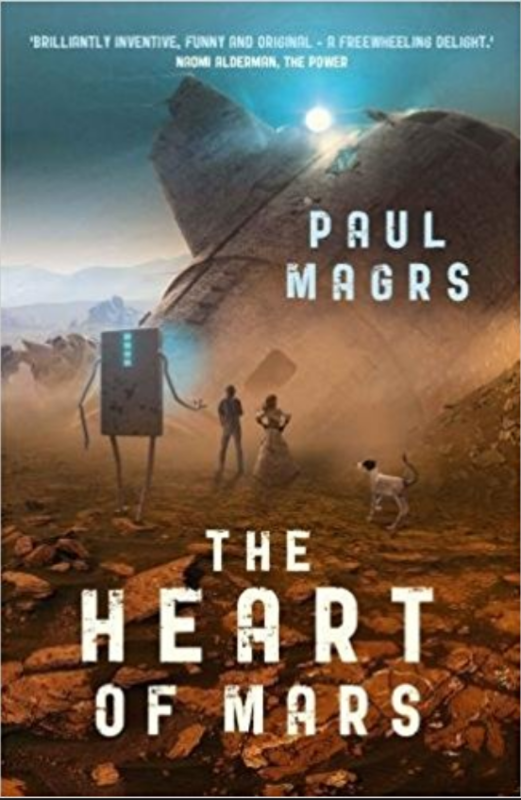 Last but by no means least, a string of new announcements for PAUL MAGRS. Fans of Paul's will be no stranger to his many books and audio dramas from the Doctor Who-o-sphere. In addition to his award nod for BAKERS END: THE KING OF CATS, above, Paul has now been contracted for a further two audio episodes of BAKERS END, while his Dr Who audio series DEMON QUEST is to be broadcast by BBC Radio 4 Extra this Christmas. Lastly, Paul's first three print books, the North-Eastern British magical realist PHOENIX COURT trilogy, have been acquired by US independent Lethe Press, along with a never before published early manuscript. COULD IT BE MAGIC?, DOES IT SHOW? and MARKED FOR LIFE will be republished from 2017, with the lost novel, FANCY MAN to follow. "It's FANTASTIC. 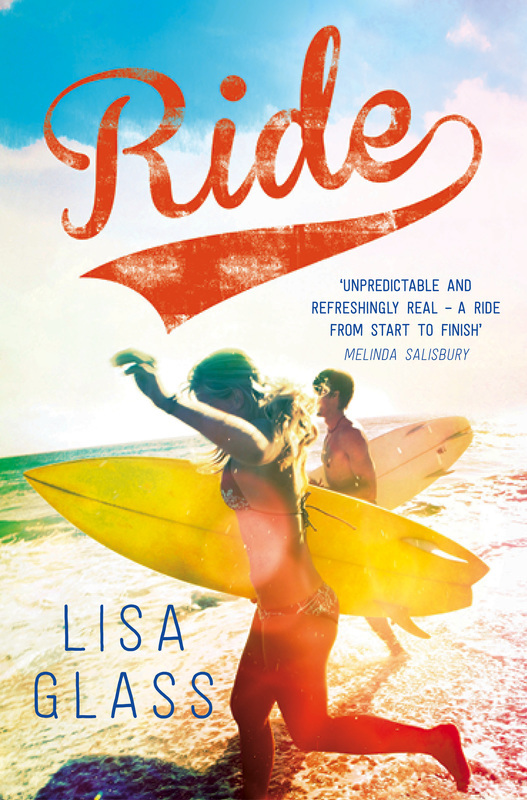 It's BRILLIANT... easily my favourite read of the year"
"Another perfect summer read from Lisa Glass ... had me on the edge of my seat." "If a fun, summery read, full of sand and surfing expertly interlaced with more serious topics is your thing, you will LOVE this ... I recommend the entire trilogy ... Must-reads!" "Real ... heartbreaking ... gripping from the beginning to the end ... beautifully executed"
"my absolute favourite series ever and I will very much miss spending summers in Newquay with my adopted family." "a superb sequel, and I am sure it will be making an appearance in my favourite books of 2016." "Pitch-perfect ... The best Young Adult read so far this year"
"Sometimes you don’t need to reinvent the wheel, just make a really, really good wheel ... [Lambert] does it with style, wit, pace and a strong central premise ... wonderfully gruesome in places and benefits from scarred, laconic and selfish but ultimately likeable heroes. 4 stars"
Second in the trio, Happy Book B'Day to Times/Chicken House Prize winner M.A. 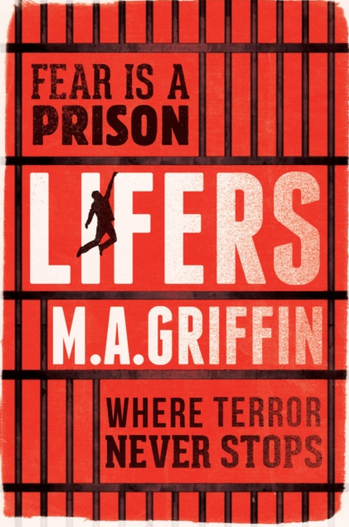 Griffin whose first novel for teen readers, Lifers, is out now and will appeal to fans of The Maze Runner. Writing as Fletcher Moss, M.A. Griffin is also author of the multi-award-winning The Poison Boy﻿. "Seriously well plotted ... a high octane, adrenaline-fuelled ride that you will not be able to put down ... Another cracking read"
"A dark and edgy story that is guaranteed to have wide appeal"
AND, last but by no means least, Happy Book B'day to Brian Conaghan, whose eagerly anticipated follow-up to the Carnegie shortlisted When Mr Dog Bites is also out now. "Establishes [Conaghan] as a major talent. It's incredibly powerful and thought-provoking ... and poses some challenging moral questions. It's also brilliantly funny, with characters you will really root for." CLAIRE McFALL'S FERRYMAN (UK: Templar Fiction, winner of the Scottish Book Award for YA) has now sold almost HALF A MILLION copies in China and continues to sell apace, remaining in the Chinese Top 10 overall fiction charts since publication there by Beijing White Horse in the summer of 2015, and coming second in the chart only to THE KITE RUNNER among general fiction in translation in that period. A Chinese language feature animation is also underway, as well as a fully illustrated Hardback edition. Two sequels to FERRYMAN are also planned. Already named one of the most influential writers of teen fiction in Scotland, Claire has also since been named one of the Top 10 most influential writers in China for 2015 and will be embarking on a publicity tour of China to support these sales. 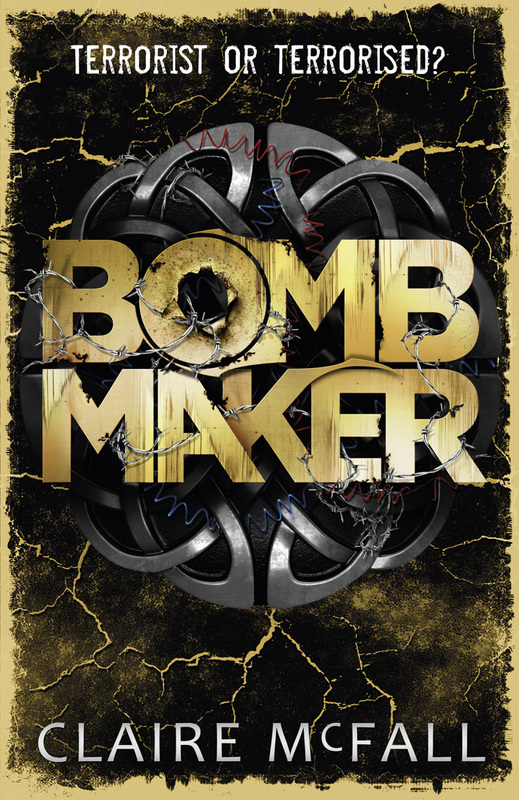 Rights are available too on her other published work BOMBMAKER and BLACK CAIRN POINT. 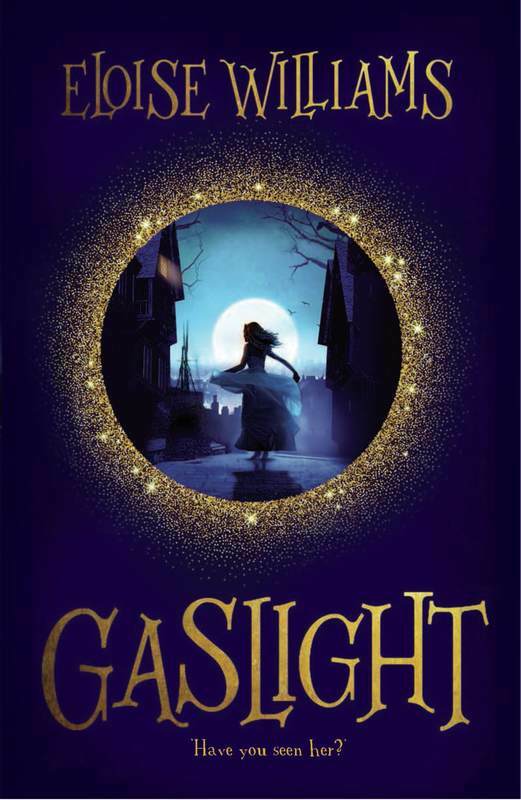 ELOISE WILLIAMS' upper middle grade debut GASLIGHT (UK: Firefly Press, 2017) is a darkly atmospheric RUBY IN THE SMOKE style mystery, rich in voice and character and set in the dark, morbid, death-obsessed world of the grifters and scammers of the Music Halls of late Victorian Cardiff. 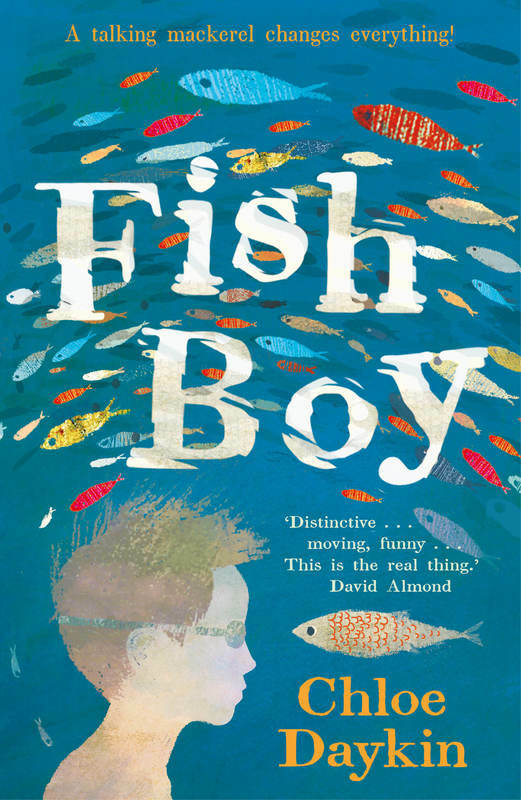 Also in middle grade, CHLOE DAYKIN'S quirky, literary, strange and uplifting debut FISH BOY (UK: Faber, 2017) has already garnered plenty of attention, with David “SKELLIG” Almond calling it “distinctive, appealing, really well written, moving, funny, strange… the real thing”. Italian rights have gone and interest remains high in other territories. 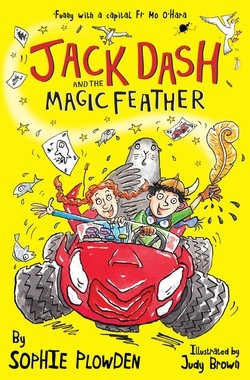 SOPHIE PLOWDEN'S anarchic and hilarious JACK DASH & THE MAGIC FEATHER (UK: Catnip, 2015) - "Funny with a capital 'F' - a crazy, clever carnival ride of a story" Mo O'Hara - promises laughs a plenty for the 7+ market, with a sequel JACK DASH & THE SUMMER BLIZZARD, coming jam-packed with mischievous penguins in summer 2016. This sentiment has also been echoed by YA legend and multiple Carnegie Medal winner Melvin Burgess, who called EDEN SUMMER "A powerful exploration of the extraordinary power of friendship, both truthful and intense. It's that rare and wonderful thing, a thriller of the heart, written from the heart, and it hits home straight to the heart." while Carnegie-shortlisted, up and coming YA star Brian Conaghan called this tautly plotted and suspenseful debut "Dazzling, gripping, leaves you gasping for air." "We are so excited to have a new book from Eloise. GASLIGHT, a gripping gothic middle grade mystery, is full of Eloise’s signature pace and beautiful writing. Nansi is an unforgettable heroine, real, heroic and at times heart-breaking. Eloise has an extraordinary gift for voice and character, and that is clear in the vivid world she creates here, without ever losing the drive of the thriller for a moment. I can’t wait to get this book to readers!" Eloise's debut novel for 7+, ELEN'S ISLAND, was published by Firefly in 2015 to a very warm reception and was picked up by Booktrust at Number 6 in their annual advent calendar of the best kids books of 2015. "A sequel of The Empire Strikes Back proportions – expanding upon everything that was brilliant about the first book, and taking things into a dark direction that makes for compelling reading ... The humour and optimism remains, but the stakes are upped hugely, with villains on every corner and, yet again, a plot that soars like an Indie superhero blockbuster, defying expectations and entertaining on every single page. Stanly is not just the hero we need, he's the one we deserve. 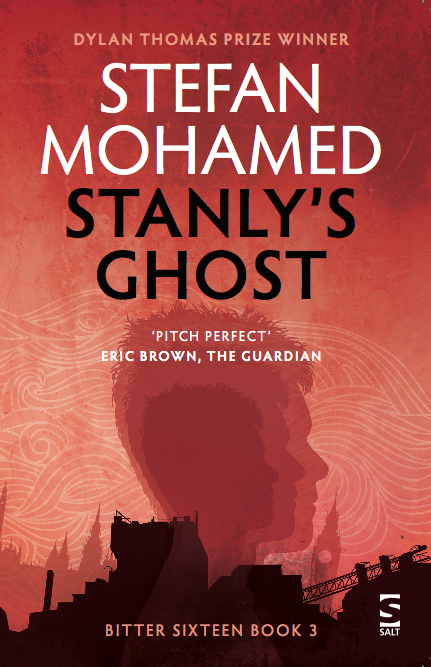 The writing is brilliant, the characters vivid, and this series continues to be a definite one to watch, given that Mohamed has created another page turner jam packed with action, imagination, intelligence, emotion, humour, and a talking dog! I couldn't ask for more out of a book... 5 Stars"
February 2016 - Over the moon to see Lu Hersey's DEEP WATER on the Branford Boase longlist, alongside her editor, Sarah Stewart, at Usborne. The Branford Boase recognises author and editor of the most outstanding debut of the year and, while it's a very strong list, it's all the stronger for featuring Lu's name up there among such promising new talent. 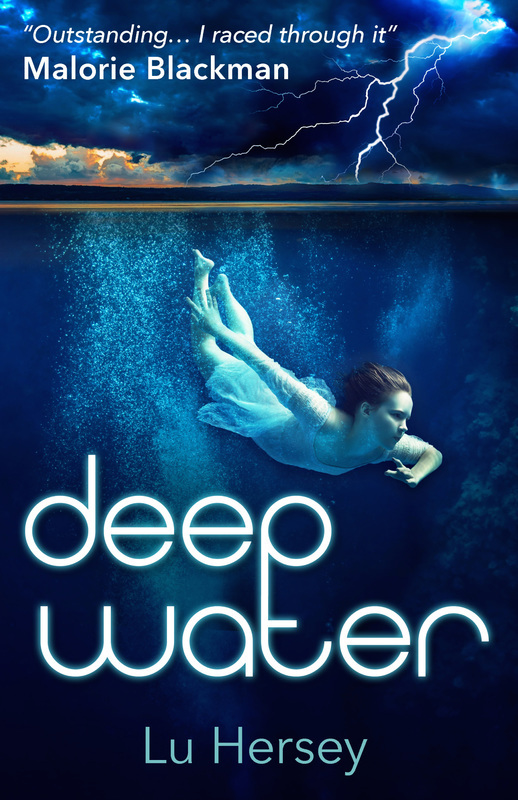 This is Lu's third prize nod - as well as winning the MsLexia Children's Novel Award, DEEP WATER has been shortlisted for the 22nd annual Wirral Paperback of the Year award, voted by teen readers at a team of schools across the Wirral. DEEP WATER was also singled out in the Guardian as SF Said's children's debut of the year for 2015. "A fast-paced adventure with some satisfyingly nasty villains and lots of symbols and clues to follow along its twisting, turning path ... I think this series will do well, especially among fans of mystery thrillers." "An extraordinary twist ... high-speed chases, snappy dialogue and elaborate symbolism ... Promises to be an exciting series"
"There was no way I wasn't going to love this book"
December 2015 - So the Christmas round-ups are upon us and am thrilled to see so many BIA authors singled out in papers, online 'zines and blogs as among the very best of the best. Writing in The Guardian, SF Said picked out Anna McKerrow's CROW MOON and Stefan Mohamed's BITTER SIXTEEN among his books of the year, while Lu Hersey's DEEP WATER - "a mythic and magical tale that draws on ancient folklore but is utterly contemporary" - took the crown. 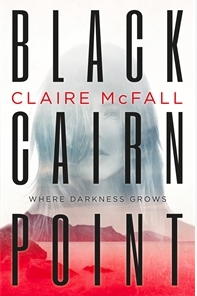 The Scotsman singled out Scottish Book Award winner (and Chinese Bestseller) Claire McFall as "one of the most fearless voices for YA fiction in Scotland" for her BLACK CAIRN POINT, which they described as "expertly handled ... never less than gripping, constantly surprising, and with a truly shocking finale". 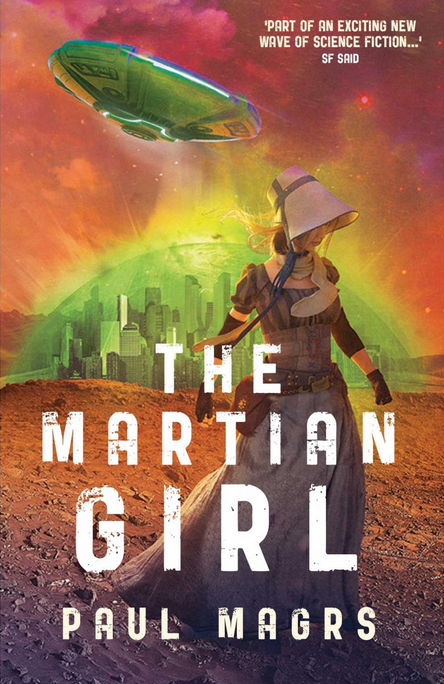 Across the Irish Sea, The Irish Times singled out Paul Magrs' LOST ON MARS among their cream of the crop for 2015, while up in t'internet-land, Den of Geek included BITTER SIXTEEN by Stefan Mohamed among theirs. 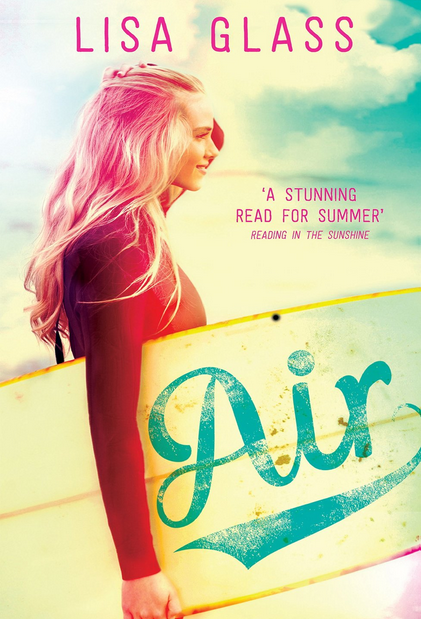 The blogs were no less supportive, with AIR by Lisa Glass singled out by blogs like Behind on Books in their Top 10 of 2015, while YA Blogger of the Year Queen of Contemporary gave her best of the best of 2015 titles to Anna McKerrow for CROW MOON, describing it as "my favourite UKYA book of the year, perhaps my favourite book of the year, full stop." Go Team BIA! We are delighted to announce Bloomsbury's acquisition of a powerful collaboration between two of its most acclaimed authors, Brian Conaghan and Sarah Crossan. We Come Apart is dark, gritty and completely original. Rebecca McNally, Publishing Director and Brian’s editor, acquired world rights for the title from Ben Illis of the Ben Illis Agency and Julia Churchill of AM Heath. 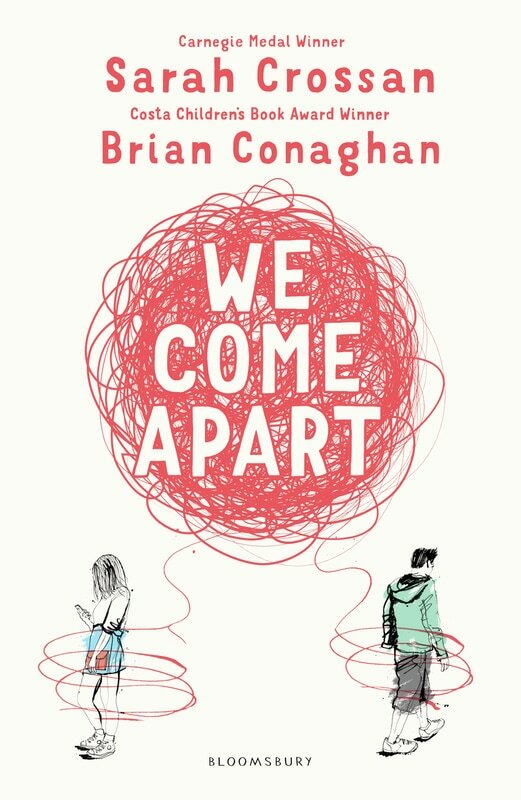 We Come Apart will publish globally and simultaneously in hardback in early 2017. Commenting on the deal Zoe Griffiths, Senior Commissioning Editor and Sarah’s editor, said, “When we introduced Brian and Sarah at a dinner to celebrate their joint Carnegie shortlisting (for When Mr Dog Bites and Apple and Rain respectively) we had no idea it would result in this outstanding novel. We couldn’t be more thrilled to publish We Come Apart and are looking forward to sharing Brian and Sarah’s unrivalled talent throughout the world”. We Come Apart tells the story of Nicu and Jess whose paths cross when they meet on probation. Though their lives are very different, both are difficult. Nicu has emigrated from Romania and is struggling to find his place in Britain. Jess’s home life is overshadowed by violence. But they find light in each other and hope. This stunning novel explores their stories as an incredibly moving friendship and romance grows between them. "Scabby earlobes! This book is AMAZING. Don't be a scaredy sock and read it NOW!" "Original, brilliant and as funny as a pig on stilts! " "Bonkers, brilliant and feather-tastic! You had me at 'Oi! Dozy Knickers!'" "There's mayhem. There's madness. There's even a pet sea lion!" Have you entered the mirror.....? 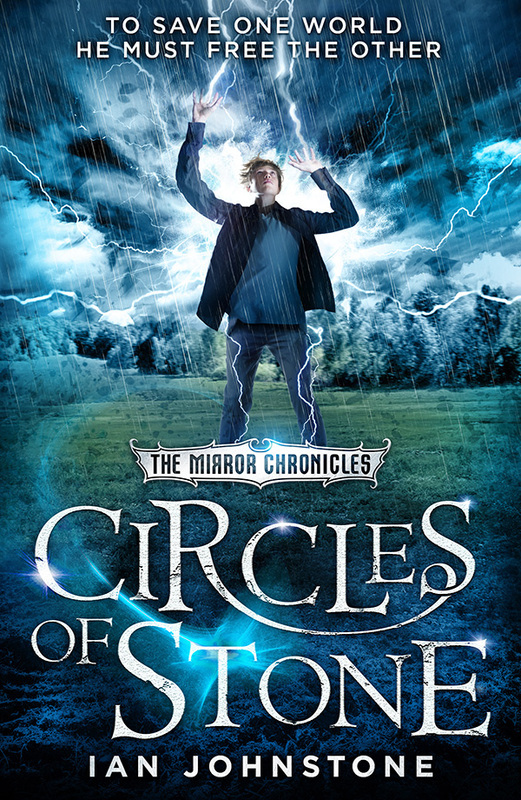 July 2015 and praise is already coming in for Ian Johnstone's highly anticipated second book of the Mirror Chronicles: Circles of Stone, sequel to The Bell Between Worlds. LoveReading4Kids has singled out Circles of Stone as a 9+ summer pick, with a stellar review, comparing Ian to TOLKIEN and GARTH NIX!! Excellent news and a very fair comparison to draw too! "The epic fantasy saga that began with The Bell Between the Worlds is continued in this exciting new episode. Young Sylas Tate was drawn into the Other on his mother’s death, a strange parallel world that is both very like our own, and totally different. He and a girl called Naeo discovered they have special powers, which brought them up against the dark lord Thoth. Now the stakes are really raised as Thoth’s army threatens both worlds. This is classic fantasy stuff, really well done, and fans of Tolkien or Garth Nix will find much to love in these ambitious adventure stories." July 2015 and ALFIE is going down a STORM! "One of the most readable novels I’ve read in some time, Gabrielle Kent has crafted a finely woven mash-up of some of the best known children’s literature and created her own excellent adventure... If I was a child again, I’d hope for at least ten in the series... Fabulously promising"
“This book... should certainly see Johnstone's name in the fantasy hall of fame... An absolute joy to read... Fantastically exciting... Breathtaking... Quite simply, possibly the best book that I have or will read this year"
And how about that jacket? Magic!! 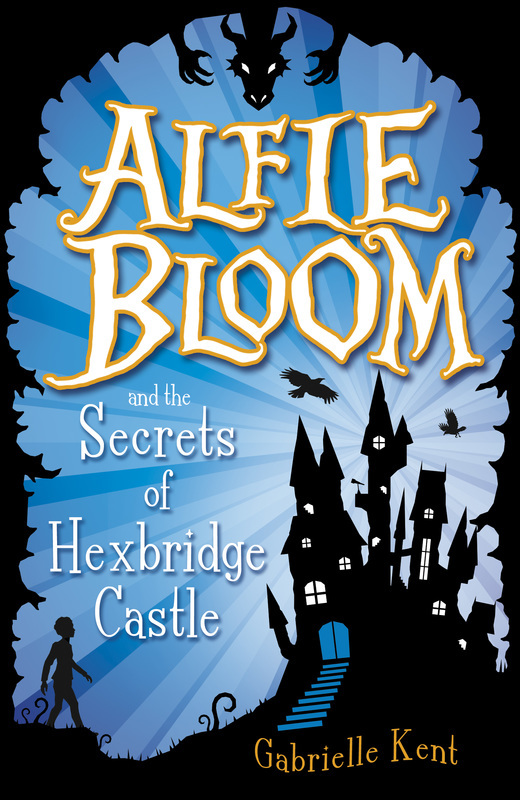 Hexbridge Castle is the first in a series of Alfie Bloom adventures about a boy, Alfie, who inherits a castle filled with wonders and an incredible magical destiny. Alfie Bloom publishes this Autumn - or Fall, if you prefer - in the US, as well as in French and German and is also causing quite a storm with UK retailers. Hardly surprising, as it's ACE! and LOOK at that INCREDIBLE jacket! Sadly, a jpeg doesn't do it justice and it needs to be seen in all its shiny, holographic glory to really appreciate what a thing of beauty it is. 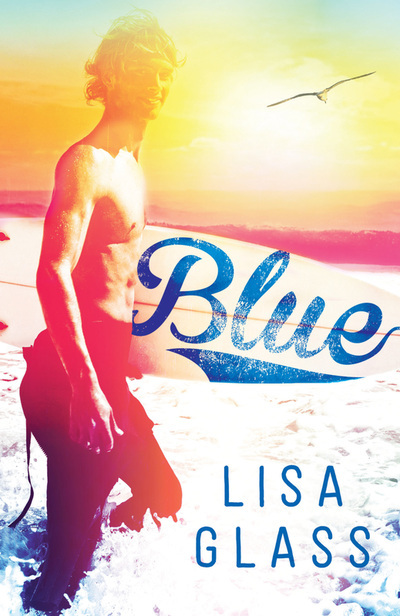 AIR sees the continuation of Iris and Zeke's romance as they embark on their first pro-surf circuit together and the action takes place in Miami. "This Greenworld is fully realised and utterly believable ... 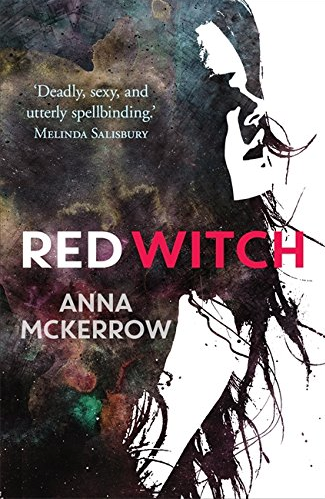 I was thrilled by the cunning use of witchcraft and folklore, enough to feel real, yet so sparing and wrapped up in the adventure to intrigue." "Unique and just so wonderful ... I strongly recommend this book"
"I devoured it in hours ... and adored all of the characters ... It’s an incredibly diverse novel – both racially and religiously. 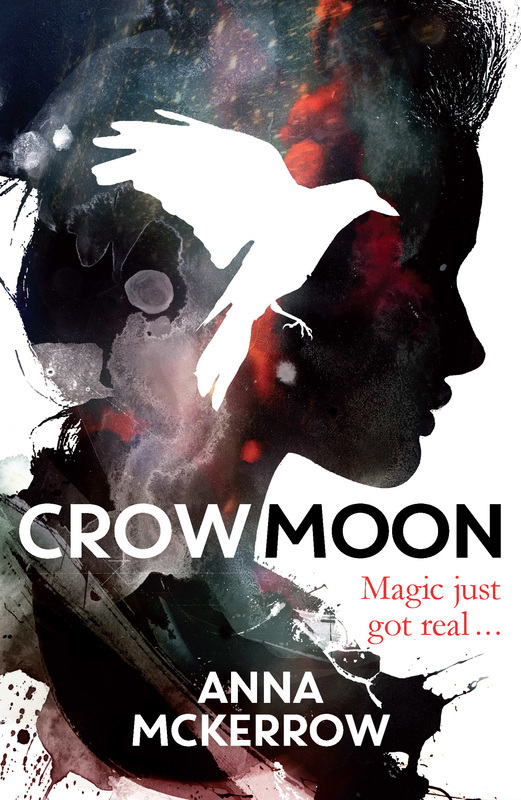 Crow Moon challenges stereotypes ... and cultural ideas of witches and paganism." "Highly original... clever and funny... I didn't think the superheroes genre had anywhere left to go. Mohamed convinces otherwise. Daryl and Stanly have one of the greatest buddy relationships I can recall - the rapid fire dialogue between them enviable in its witty ease." "Manages to conjure up the relatable thrill of early Spiderman, grounds it in rural Wales, throws in a talking dog, a winding plot and fantastic twists, and peppers little geeky references throughout the novel that both fit with the main character's interests, and made this reviewer laugh out loud... An absolute page turner... A fantastic start to a trilogy, and a dazzling introduction for a great new character." "If you know your Calrissian from your Kobayashi, then BITTER SIXTEEN is the most fun you can have in the superhero genre..."
"A great accomplishment. 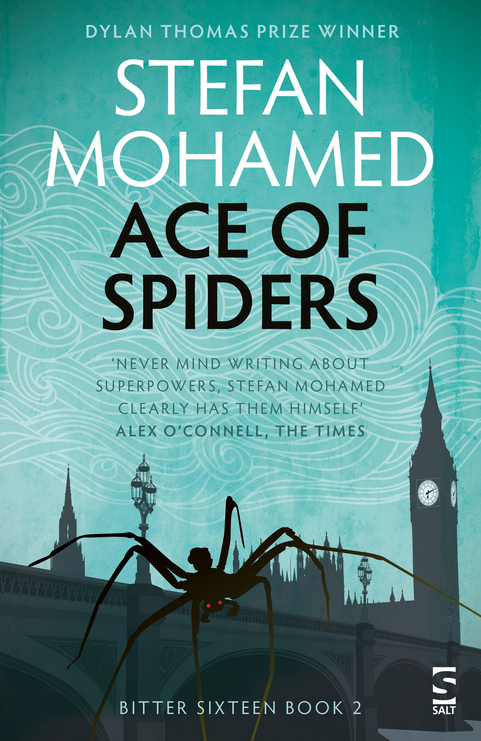 Entertaining, fast-paced and genuinely hilarious, this is a fantastic debut ... and hopefully is only the start of what will be a hugely successful writing career for Mohamed." "An engaging, funny and heartwarming coming of age story that took tried-and-true tropes in new directions ... Add in the bestest side-kick ever—a talking beagle named Daryl—and you have a winning combination." "This sparky debut puts the comic book origin story through the pop-cultural blender ... Zippy prose keeps the story barrelling along, the genre references come thick and fast (even the dog a Yoda impression does) and, in Stanly, Mohamed has created a hero you'll really root for. A flying start." 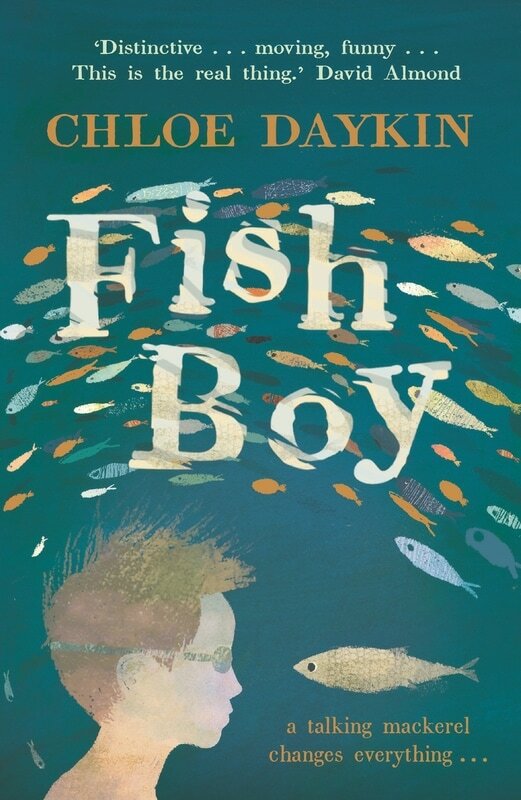 Chloe Daykin's magnificent FISH BOY sold in an impassioned auction on Bologna-eve in a two book deal with World English Rights to Leah Thaxton at Faber. Chloe Daykin really is a rare and special find: a mine of astonishing stories, told with the lightest of touches, she is also quite the loveliest and most down to earth author imaginable. FISH BOY is one of the most stand-out pieces of middle-grade fiction I have ever had the good fortune to read, let alone represent. Told in Billy Shiel’s unique and quirky voice, FISH BOY is poignant, funny, desperately moving and like nothing else you will have ever read. FISH BOY will make an enormous splash in children’s publishing world-wide and as the ripples subside Chloe is assured to take her place alongside David Almond, Frank Cottrell Boyce and Louis Sachar, among the acknowledged greats of the form. For more on Chloe, head over to the clients page. ALSO, as if that wasn't good news enough, Bloomsbury has acquired two new titles by the CILIP Carnegie Medal shortlisted author Brian Conaghan. Rebecca McNally in the UK and Cindy Loh in the US acquired world rights in the as yet untitled new books in a significant deal. We at The BIA are thrilled to see Bloomsbury continue to publish Brian Conaghan with such skill, tact and sensitivity. Brian is an exceptional writer – a true story-teller who is unafraid to explore dark and difficult territory with his characteristic warmth, good humour and heart. These new books will create a storm of interest - and yes, perhaps also more controversy - in one of the most exciting writers in the YA and crossover market publishing today. Conaghan’s WHEN MR DOG BITES is currently shortlisted for both the CILIP Carnegie Medal and CBI Book of the Year Award. It was a Waterstones Paperback of the Year 2014 and one of The Bookbag’s Top Teen Books of 2014. WHEN MR DOG BITES received great critical acclaim on publication, while also sparking a good deal of controversy with its unflinching portrayal of a teen boy coping with all the trials of growing up with Tourette’s syndrome. 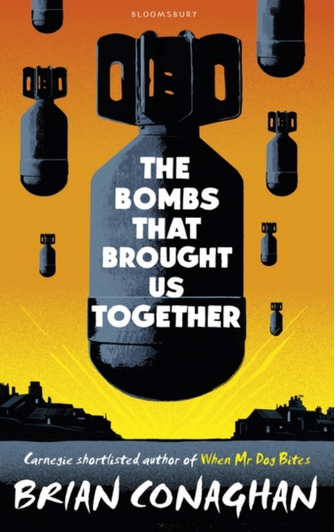 Brian’s second book for Bloomsbury THE BOMBS THAT BROUGHT US TOGETHER publishes globally in hardback in January 2016. March 2015 - HAPPY BOOK BIRTHDAY TO STEFAN MOHAMED! "Into what seems to be a very real and familiar world Stefan Mohamed introduces a 16year old super hero and his even more remarkable dog. All kinds of crazy amorous and criminal adventures ensue but our author's vivid imagination, story-telling power, humour and mastery of punchy dialogue ensure that we eagerly hang on throughout this refreshingly original novel." "Thoroughly enjoyable, very funny and touching, with a really great central character in Stanly"
"Stefan Mohamed really stands out from the crowd - a delightfully funny, surreal and original new voice with a great storytelling gift." 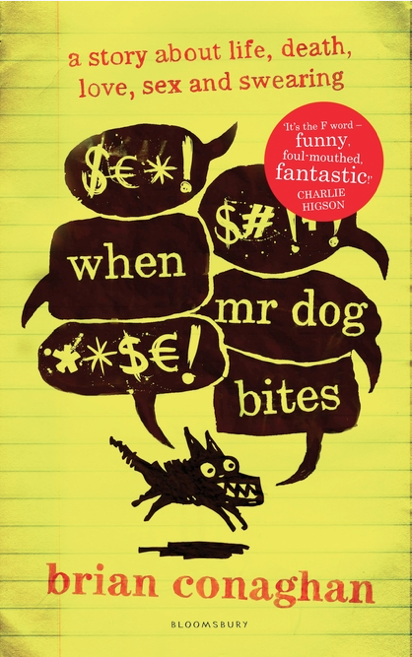 WHEN MR DOG BITES by Brian Conaghan has been shortlisted for The 2015 CILIP Carnegie Medal! MASSIVE congratulations to Brian and all at Bloomsbury, as well as to all the other shortlisted authors and illustrators. Here's a link to the full list over on the Telegraph YA Books site. March 2015 - HAPPY BOOK BIRTHDAY TO ANNA MCKERROW! "I’m not entirely sure how I’m going to be able to wait another year to read the sequel! Crow Moon completely blew me away and I’ll be recommending it to absolutely everyone this year. You can follow Anna on Facebook and on Twitter or you could do a lot worse than following her own website. For now, though, here's the official CROW MOON book trailer, with visuals by Cherry Collard @cherryec and a soundtrack from Peter McKerrow. And the long lists for both The 2015 CILIP Carnegie Medal and Kate Greenaway Medal (for illustrators) have been announced. Over the moon to see Brian Conaghan's name among such august company - kid lit royalty, such as Meg Rosoff, Patrick Ness, Sally Gardner and Anthony MacGowan; as well as extremely talented newcomers, such as Clare Furniss and Non Pratt. It's an amazing list and I'm sure you'll agree those librarians are going to have a tough judging ahead of them. To celebrate this news, Bloomsbury have come up with an all new YA paperback jacket (pictured). Looks ACE, am sure you'll agree! The shortlist is announced in about a month. ALL extremities crossed for Brian and the rest of his peers and here's a link to the full list on The Telegraph book site. And HUGE congrats to you and all at Bloomsbury Children's Books! As a rule, we don't normally post about our small but perfectly formed stable of writers who are as yet uncontracted, but am proud as hell to break that rule here! Two BIA clients: Dale Hannah and Honey Stavonhagen were both on a shortlist of only five writers for the Commonword Diversity Writing for Children Prize 2014 and I'm absolutely thrilled to announce that Dale went on to be crowned winner of the prize, established in 2012 to promote writing by unpublished children’s authors whose work "embraces ethnic diversity either through their own ethnicity and culture and/or in their writing". Honey Stavonhagen's Hope Grayling: Blind Detective is a charming and funny middle grade adventure about a blind mixed race 'tween, Hope, and her younger sister, Faith, who get sucked into a magical mystery as they investigate the disappearance of Obediah, the parrot from the village dentist's office who both girls know is way more than meets the eye. Before long they find themselves drawn into a feud that has been raging for over a thousand earth years between Obediah and his nemesis Salamon. Drawing on Hope’s particular talents, the girls have to outsmart Salamon in his fortress of clouds to protect each other and save their family before their fate follows that of the Dodo. The story, which has rivalry and envy at its core, ends with Hope having to make a life-changing decision about whether or not to take the opportunity to restore her sense of sight. Two cracking books from two cracking new talents. Ones to watch out for, indeed. 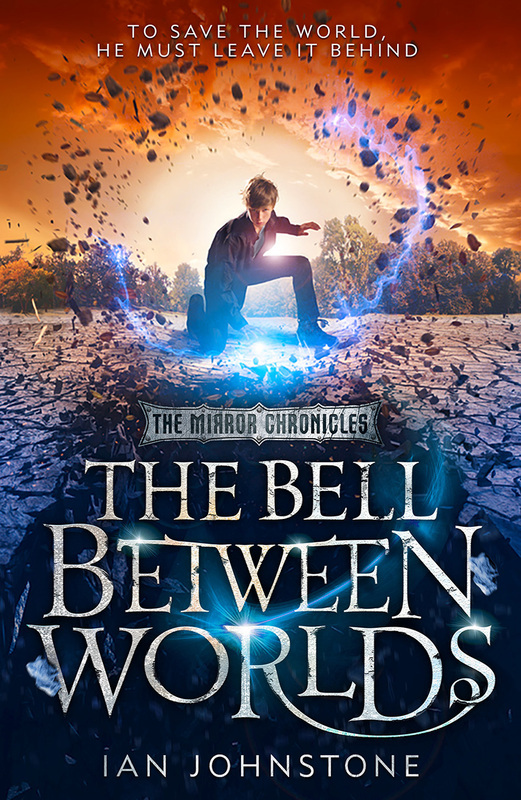 Ian Johnstone's magnificent THE BELL BETWEEN WORLDS, book one of THE MIRROR CHRONICLES, is out now in paperback, with a stunning new jacket. As if that's not grounds enough for celebration, the final edit of book two, THE CIRCLES OF STONE is complete and is FANTASTIC: every bit as world-changing and epic in scale as you'd expect. “This book... should certainly see Johnstone's name in the fantasy hall of fame... An absolute joy to read... Fantastically exciting." THRILLED to announce that SPOOKED, THE HAUNTING OF KIT CONNELLY by Paul Bryers has been shortlisted by the wonderful librarians of Lambeth for the prestigious Lambeth Phoenix Book Award. So those wondrous peeps at Bookbag have published their list of THE TOP TEEN BOOKS OF 2014 and am over the moon to see Brian Conaghan's name listed among such established greats as David Almond and Marcus Sedgwick, as his wonderful WHEN MR DOG BITES is included on the list. You can see the full list here. 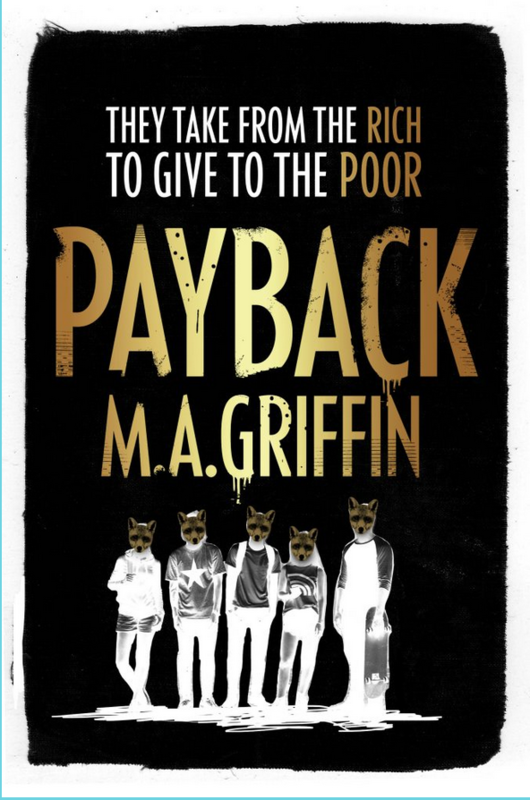 In addition to being singled out by Bookbag, WHEN MR DOG BITES also made Waterstone's paperbacks of the year over Christmas 2014, selling like hot cakes across the UK. Well done Brian! 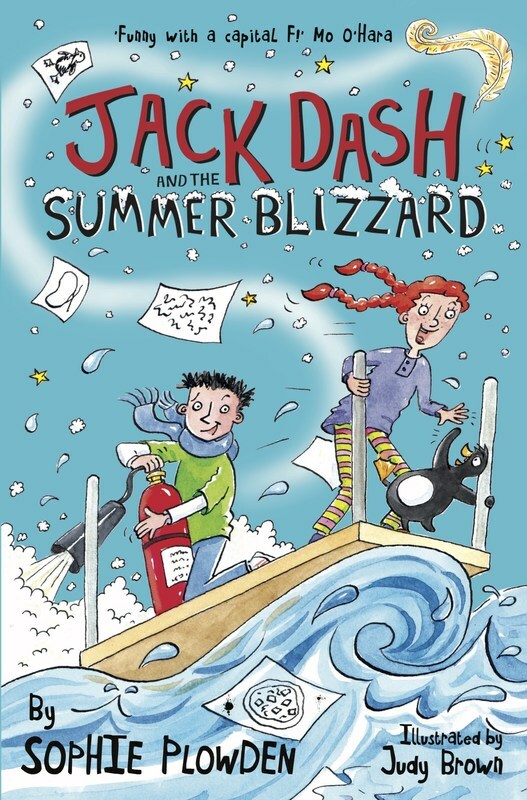 Over the chuffing MOON to announce, subject to contract, that Sophie Plowden's hilarious, fantastically high energy, anarchic debut for 7+, JACK DASH & THE MAGIC FEATHER, and its sequel JACK DASH & THE SUMMER BLIZZARD have gone to Catnip Publishing in a World English Deal. loved it. This book is one of the funniest I’ve read and has a magic at its heart that will capture the imagination of all the legions of future Jack Dash fans ... Sophie has a long and successful career as a much-loved children’s author ahead of her and I cannot wait for Catnip to work with her as she begins this journey, taking her books out into the world, and offering our ideas, our support and our fierce belief in Sophie and her writing." HAPPY E-BOOK BIRTHDAY TO STEFAN MOHAMED!! WHEN MR DOG BITES by Brian Conaghan nominated for The Carnegie Medal AND hits the bestseller charts! bestsellers chart at..... number 7! MASSIVE CONGRATULATIONS TO BRIAN AND ALL AT BLOOMSBURY & WATERSTONES FOR MAKING IT HAPPEN...!! OVER THE MOON to announce that Gabrielle Kent's ALFIE BLOOM: THE SECRETS OF HEXBRIDGE CASTLE has sold into German (to Egmont, Germany) AND French (to Michel Lafon, France) in a pair of dramatic and spectacular pre-empts at auction, ahead of the Frankfurt Book Fair! Go Alfie....! and go Gabrielle! HAPPY BOOK BIRTHDAY TO H.L. DENNIS!! "... plenty of action and adventure, mixed in with generous dollops of facts and information which will definitely appeal to readers who enjoy having their brains challenged as well as their imaginations." On Wrath, a dump-world for human outcasts, identical twins are feared. Only one will grow up human, while the other becomes a condemned monster with ‘twisted’ blood. When sixteen-year-old Kyle realises he’s a Twist, he flees for his life with the help of Sky, a rebel glider pilot. To survive, they must confront what Kyle is, then find out who he is. Happy PB Publication Day to Brian Conaghan. WHEN MR DOG BITES is out today with a brand new and rather lovely PB jacket. 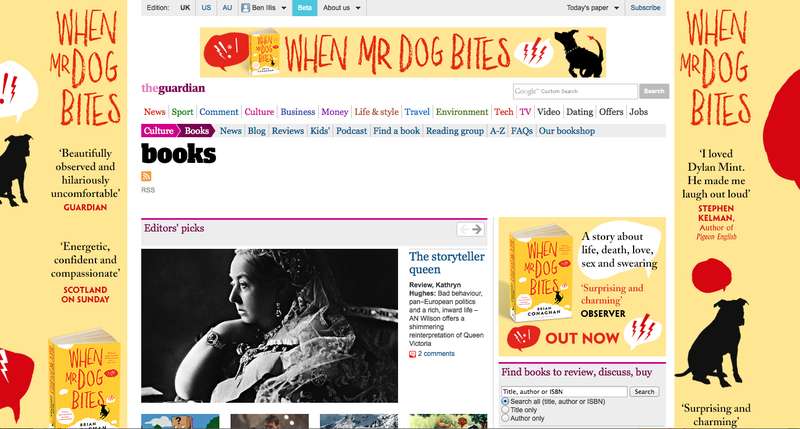 To mark the event, Mr Dog has taken over the Guardian Books website and you can see a screenshot of how ace that looks here in perpetuity. "Screams summer, sea and romance... 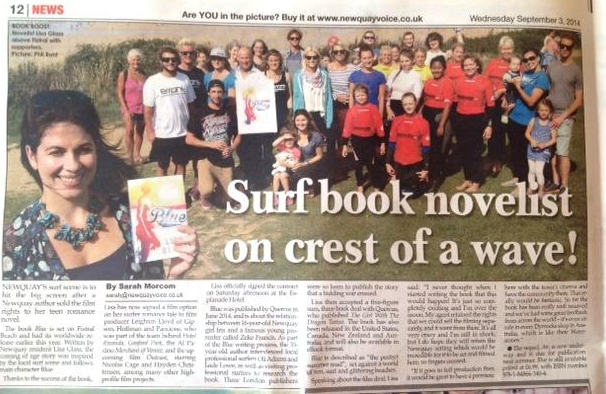 I found myself swept away like a rogue wave... Quite possibly the best British book of its kind." How I do love the smell of NEW DEALS in the morning! May 2014 - Happy Publication Day to H.L. Dennis! The Pirate's Sword, Book 5 (the penultimate!) 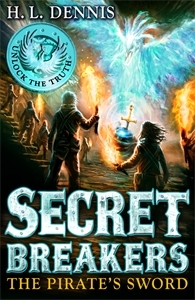 of the Carnegie-nominated Secret Breakers series, is published by Hodder Childrens Books. Helen is on a whistle-stop book tour of Newcastle, Birmingham and London to promote the latest, teaching kids how to crack codes and join Team Veritas for themselves. There's also a downloadable reading guide to help teachers plan curriculum-friendly literacy activities around the Team's adventures! "Our Year 7 and 8 students were enthralled – so much buzz about the book at school!" "The children loved every minute – they were in awe!" Chuffed to bits to be announcing three new deals at The Bologna Children's Book Fair. IPG 2014 Independent Publisher of the Year AND Children's Publisher of the Year Usborne has bought World Rights to DEEP WATER by Lu Hersey, to be published in Spring 2015. Quercus Children’s Books has taken world rights to Anna McKerrow's, CROW MOON, 'a sultry, funny coming-of-age story and YA adventure about a reluctant boy witch with stunning powers'. The first book in the trilogy is to be published in Spring 2015, with two book to follow at yearly intervals. The Chicken House has snapped up world rights to award-winning Fletcher Moss's second novel, THE NIGHT WARDENS, which is to be published in Summer 2015. THE POISON BOY TAKES DUDLEY TEEN BOOK AWARD! That Fletcher Moss has been busy! Not a bad little haul there! More Fletcher Moss news to be announced at the 2014 Bologna Children's Book Fair. Watch this space! FERRYMAN SCOOPS SCOTTISH BOOK OF THE YEAR!!! WOW! The wonderful Claire McFall has beaten off strong (and highly respected, experienced and prolific) competition to win The Scottish Book Trust's 2013 Scottish YA Book Award for her debut FERRYMAN! Huge congratulations to Claire; to her editor Helen Boyle and to all the team responsible at Templar Books. So, so, SO pleased for you all!! In case you've been hiding under a stone and haven't heard about FERRYMAN yet, scroll down for a list of prize recognition to date. CLAIRE MCFALL - A PRIZE-WINNING VOICE TO WATCH OUT FOR! FERRYMAN has made the short-list for the inaugural Hampshire Independent Schools Book Award. That's a 6th prize nod for Claire's stunning debut! "Beautifully executed ... themes of national identity and terrorism come through shining ... Tough, analytical and explosive (no pun intended), Bombmaker is a true dystopian book I have waited a long time to see, with full-on urban action in a future that could genuinely be tomorrow"
Happy Publication Day to Claire McFall, whose second novel BOMBMAKER was released by Templar Books on the 1st of the month. Not a bad little list there, Claire! 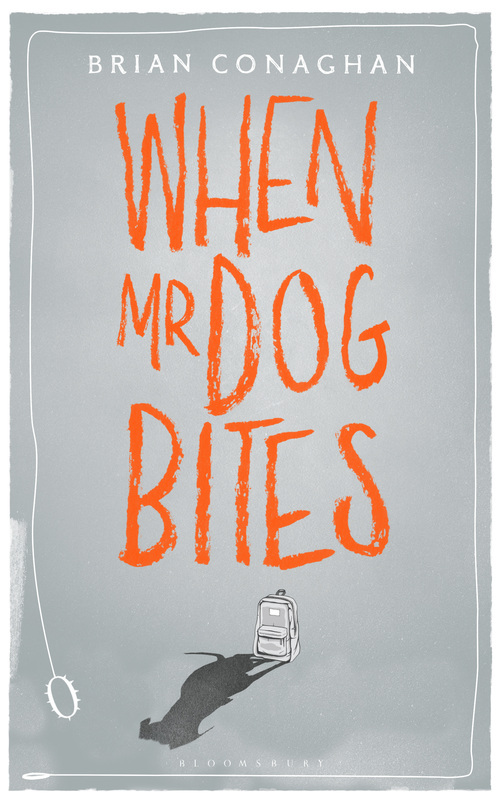 "A brave and ambitious attempt, sympathetically depicting 'Mr Dog'"
"This book, this story had me howling out loud with laughter one minute and biting my lip trying to keep tears from running down my face"
Well, here's a thing. While I await news on a brace of new deals (yes - two!) how's about a sneaky preview of a few jackets of BIA clients' work due for publication in the first half of 2014? Pretty exciting start to the year, I'd say! CLAIRE MCFALL and H.L. DENNIS have been nominated for the CARNEGIE MEDAL, arguably the most prestigious award in UK Children's publishing, for FERRYMAN and THE KNIGHTS OF NEUSTRIA (book 3 of SECRET BREAKERS), respectively. BRILLIANT! Previous winners of the Carnegie include Sally Gardner, Patrick Ness, Terry Pratchett, Philip Pullman and C.S. Lewis, so they are in BRILLIANT company. The long-list is announced in Feb 2014, the short-list in March and winner in June. Fingers and toes crossed! Across the Irish Sea, a recent study has shown that eight of the 10 most borrowed books in Ireland last year were children's books - no surprises there. What is BRILLIANT is that only one of the list is by an Irish writer, none other than ALAN EARLY, whose ARTHUR QUINN & THE WORLD SERPENT is officially 2012's most-borrowed book in Ireland by an Irish writer. Fourth bit of BRILLIANT news - and fourth prize nod for CLAIRE MCFALL - FERRYMAN has also been short-listed for the Grampian Children's Book Award. BRILLIANT stuff! Huge congratulations to authors, editors and publishers' teams all round! Absolutely thrilled to announce new signing Fletcher Moss, who won the 2013 Times/Chicken House prize for his AWESOME (and blood-soaked) debut THE POISON BOY. "The prose is elegant and the fun unflagging...Bravo!" Autumn off to a great start! Not only does The BIA have a cracking Autumn list of new titles and new writers to send forth into the world, but the new season kicks off with a lovely new series deal for the wonderful H.L. Dennis. The new series, working title SIGNS OF LIFE, will be published by Hodder from 2015, once the superb SECRET BREAKERS series draws to a close. Pictured is Book 4 in the SECRET BREAKERS series, Tower of Winds, which will be published in the UK in October 2013. The dramatic conclusion to the acclaimed Arthur Quinn Trilogy published by Mercier Press, 7th August 2013 - Exciting times! "A brilliant creation.... fast-paced and thrilling"
Arthur Quinn & The World Serpent (2011) was short-listed for the Bord Gais Energy Irish Book Award and was chosen as the featured title in the UNESCO sponsored Dublin Reading Project. Arthur Quinn & The Fenris Wolf was published in 2012 to further critical acclaim. Countdown to publication day - 1st August 2013 - magic jacket from Hodder! Twelve-year-old Kit Connelly has been saved from almost certain death ... by a ghost. A ghost who looks a lot like a fourteen-year-old version of herself. Believing that her ghost must have saved her for a reason and knowing that she only has two years left to make her mark, Kit decides to do something life-changing. But her plan to save the world takes her on a nightmare journey and to a dramatic and surprising conclusion. The Mouth of the Nile, 9th August, 1798: Admiral Nelson has sent Captain Nathan Peake on a desperate journey across the Middle East to convey a grim warning to British India. Bonaparte's army is poised to deliver a fatal blow to the source of Britain's wealth and power by marching overland to India. Arriving in Bombay, Nathan takes command of the East India Company's naval wing - the Bombay Marine - an under-armed and poorly crewed flotilla of sloops and gunboats. With these meagre resources he must stop the flow of French supplies to their Indian ally and protect the Company's trade from the pirates and privateers swarming in the Bay of Bengal. But when Nathan discovers the truth behind the East India Company's honourable facade he confronts some tough personal choices - and a crisis of conscience even more threatening than the enemy. "I was soon drawn to it like a magnet to iron. it is full to bursting with suspense and false trails which makes it seem that all the characters find out is true. It forces you to carry on reading no matter what... I rate it at 9/10." "I thought The Orphan of the Flames topped the The Power of Three... but this latest addition to the series is EVEN BETTER!!... (SOOOO EXCITING!!). 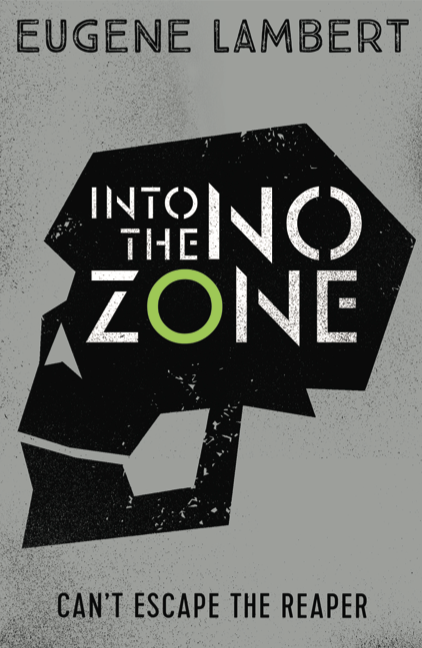 As always, you're drawn into the excitement of breaking the codes along with the characters - it's a gripping adventure AND a brilliant workout for your brain as you try to get there before Brodie, Hunter, Tusia, Sheldon and the team! Seriously, age 8 and up, you'll love this!" "This book is definitely the belle of the ball - it is taking fantasy literature literally by storm this year. It is a book that, in my opinion, should certainly see Ian's name in the fantasy hall of fame. Quite simply ... Possibly the best book that I have or will read this year"
CS Lewis and Philip Pullman. When teenager Dylan pulls herself free from a train wreck and emerges onto an almost deserted Scottish hillside, she believes she is the only survivor. Seeing the figure of a boy on the bank she enlists his help. But Tristan is no ordinary passerby, and Dylan soon learns that instead of being the only survivor of the wreck, she is in fact the only fatality. And, Tristan is no normal teenage boy - he is her ferryman tasked with guiding her through the wasteland to her afterlife. As the pair journey further together through the dangerous wraith-infested wasteland, they fall deeply in love. When they reach the other side, Tristan promises to cross over with Dylan, but when she steps across the threshold and turns back, he is not there. Confronted with life without Tristan, Dylan vows to find him, but that means traversing the dangerous wasteland without a guide - A moving, epic love story, that's exciting, scary, funny, thought-provoking and truly original. Dutch rights acquired by De Boekrij in Holland. De Boekerij will publish THE BELL BETWEEN WORLDS in September 2013, in time for the Dutch Children’s Book Award. Turkish rights acquired by Yapi Kredi Yayinlari in Turkey. World rights to this stunning novel acquired by Bloomsbury. 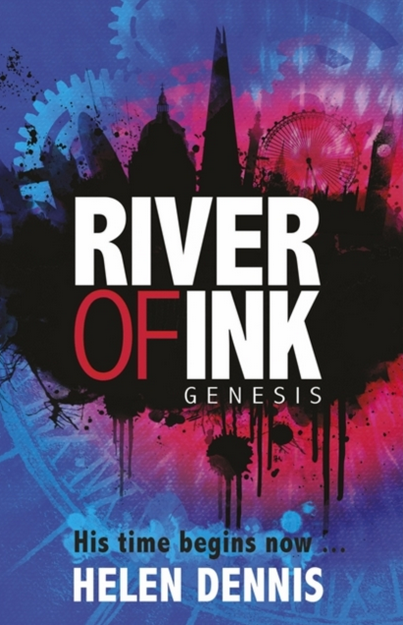 Bloomsbury will publish simultaneous editions for Adult and Young Adult markets in both the UK and US in January 2014, with a second book to follow in 2015. 1797: Britain stands alone against the forces of Revolutionary France. A victorious French Army, led by the youthful Napoleon Bonaparte, is poised to invade Britain. And in his country's darkest hour, Captain Nathan Peake finds himself imprisoned by his own side on the Rock of Gibraltar - charged with treason. To prove his innocence Nathan must uncover the great deception that masks the French war aims. Is the great armada being assembled in Toulon bound for the shores of Great Britain - or Egypt? His secret mission to discover the truth about Napoleon's invasion plans will hurl him into two of the greatest battles of the 18th century. You can read more on www.paulbryers.com and www.nathanpeake.com.